Garage floor paint can turn an otherwise dull and dark garage into a thing of beauty, offering a huge aesthetic improvement to the room. However, if your garage floor starts to peel away, then this achieves the complete opposite effect. 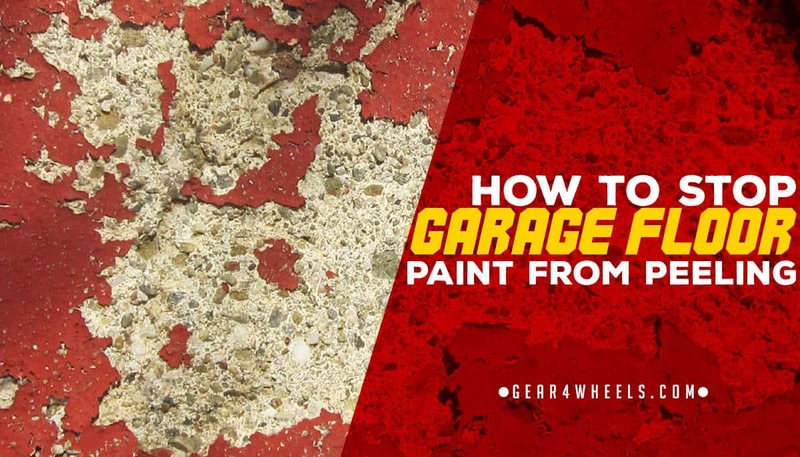 This type of paint can peel for a variety of reasons, and in this article we’ll help you to troubleshoot what could be causing the problem in your garage. Peeling paint within the garage is a problem most often encountered where an epoxy paint has been used. It is normally commonplace in a situation where the surface has not been adequately prepared prior to painting. 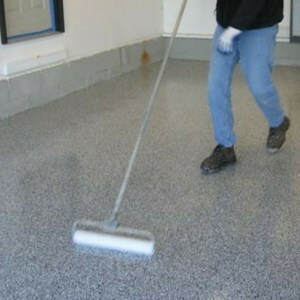 For epoxy paint to properly adhere to a concrete surface, it needs a floor that is porous, and both clean and firm. If this environment is not properly achieved before painting, then you can almost guarantee problems with peeling. Below, we will look at the specific factors that could be causing the epoxy paint finish within your garage to peel away, as well as how to avoid them. If your peeling paint is being caused by an overly dusty or damaged concrete surface, then you should be able to tell by examining the base of your paint. Loose debris and dust clinging to the underside is a clear sign of this problem. If it's simply dust, then your surface likely wasn't cleaned sufficiently enough prior to being painted. However, if you spot loose dirt and grit, then you would be best placed to treat your concrete with a primer after having removed the remainder of the paint, and prior to repainting it. As with the above issue, you should examine the underside of your peeling paint for signs of moisture. If present, this would signify that moisture was present when the surface was painted or is being drawn to the surface of your flooring from beneath the house. Since the epoxy forms a watertight seal, any moisture from these sources will be trapped and slowly degrade your paintwork. 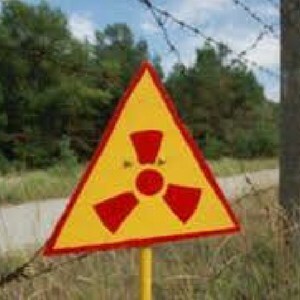 This won’t necessarily manifest in peeling; you may see your paintwork lifting away from the surface instead. Any decent guide to concrete floor painting will advise you to prepare your surface with a cleaner and degreaser. This helps to lift any greasy, oily stains that could prevent your epoxy from adhering to the concrete properly. Though water will evaporate from the substrate – the lower layers of the concrete surface – substances like oil never will. As a result, you will need to apply a primer to the surface, which will help bond to any greasy residues. This will help combat any peeling paint that is attributable to contamination from such sources. As with the above, any decent guide will also advise you to etch your floor to improve adhesion of the epoxy. This process works by breaking down the calcium on the surface and exposing the surface's pores. This process, however, also creates dust. As has been discussed earlier, you’ll need to ensure that there is no dust prior to painting, otherwise the paint will stick to the dust rather than to the porous concrete surface. It is possible to purchase clear sealants that can be used to protect concrete in a comparable way to epoxy painting. Unfortunately, it is not always straightforward to know whether a surface has been sealed before. If you aren’t sure, then you can try dripping water onto the surface; if it’s absorbed into the concrete, then the floor is likely not sealed, whereas if the water forms beaded droplets, then it likely has an existing sealant on it. You’ll need to use a concrete grinded to remove this layer, otherwise your new epoxy will not stick. Laitance is a weaker form of concrete that can sit on the top of your concrete surface, the product of excess water being used in the finish when the floor was cemented or created. If you drag a heavy tool across the surface of your floor, you shouldn’t be able to damage the concrete. If you can, then this could be a sign of laitance, and could mean that your floor needs repair prior to painting. 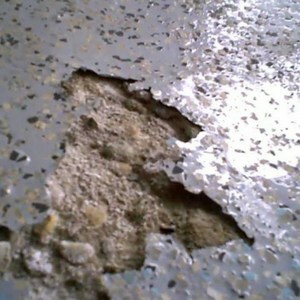 Most peeling of painted concrete flooring can be attributed to one of the issues outlined above. Some of the biggest issues faced by homeowners are from existing paint or greasy substances that have not been removed properly, excess moisture or the presence of dust. By removing these factors, you can apply a high-quality, attractive epoxy to your concrete flooring, which will not only improve the aesthetics, but also offer greater protection to the base concrete surface.